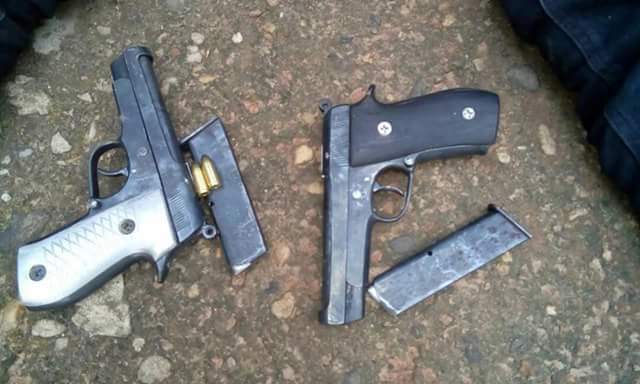 A man has been nabbed at a motor park in Obudu, Crops River with pistols buried in bag of garri. The suspect identified as 32-year- old Emmanuel Akamabe, resident at Ranch Road in Obudu was arrested on Tuesday morning at the Obudu Motor Park by Mr. Martin Umbie, the Chairman of National Union of Road Transport Workers NURTW. He was found with two Barreta pistols, two empty magazines and two live rounds, hidden in a bag of garri. 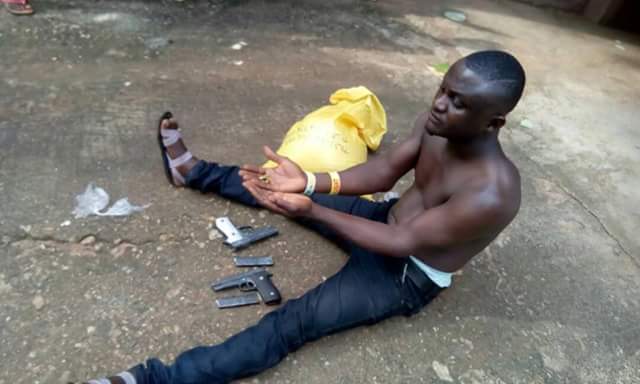 The suspect claims he was taking the arms on an errand for one Mr. Ezekiel Bala, also known as, GUN RUNNER, from Wukari, Taraba state to deliver to a client with GSM 08036695154 in Calabar.